To protect the copy rights of the author of a book has always been a problematic issue. In spite of the existing legislations to protect copyright infringement -that is to say, to reproduce a work without the writer or publisher permission- this is practically impossible to prevent. A clear example of this is the regular use of photocopiers. Regarding text circulation on the Internet, today there are many technologies that control the information on the web and its virtual circulation. This is why most e-books cannot be printed and they can only be read on a specific portable device or computer -this means they cannot be read on different devices or computers. The authors and publishers of a written work are the only ones who can decide whether an e-book can be printed or not. Classic books -that is to say, public domain books- and other books can be copied freely. Electronic books reproduction is strictly controlled, even more than printed books reproduction. In order to avoid the transmission of written contests on the web, technological tools have been designed to protect the rights of the writers and to authorize and regulate the use of information. In this, wide and safe circulation is assured for the authors of these contents since they have control over the dissemination of their works. It establishes the terms and conditions of a work. It enjoys a security and control system to limit the authorized use of the works and to reduce the number illegal copies. It allows a safe transmission of texts. It protects digital contents since it does not allow the modification of files. It allows the registration of the different participants in the editorial process (author, publisher, libraries, etc.) so as to control the work(s) distribution. These protection technologies were incorporated to the legislation through a treaty concluded by different states in the World Intellectual Property Organization (WOPI) in 1996 and The Digital Millennium Copyright Act in 1998. In this way, the infringement of the technical control systems becomes a legal infringement, which is punished. 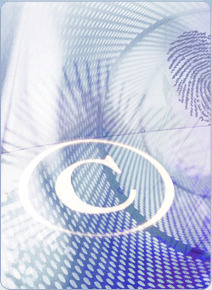 The rights of writers are protected by copyright. As the DRM provide more protection to digital information, writers and publishers feel safe. In this way, electronic books publication and circulation is benefited.